Earlier this morning Twitter released “Twitter for Newsrooms,” its primer on how to use Twitter to gather and report news in the 21st century. #TfN is Twitter’s official nudge to old school reporters, a heavy handed reminder to get with the program and embrace Twitter as media production and consumption device. The company’s missive to journalists is pure straight talk, “We know you come from different generations. Some are native to the pilcrow, others native to the hashtag. You began your careers in different media: radio, print, broadcast, online and mobile.” … And you have all somehow ended up on Twitter. Ball’s in our court. For those curious, Twitter’s (and obviously self-perpetuating) suggestions for using it to report include taking advantage of the new non-rate limited search and its advanced search tool that allows for sentiment analysis and other search drill downs. But is Twitter essentially preaching to the choir on this one? I mean it’s pretty likely that you’re well versed in Twitter if you’re on Twitter and reading something called Twitter for Newsrooms. It’s also likely that very few pilcrow natives came across this page today. “Twitter for Newsrooms is a bit redundant for me because Twitter is my newsroom,” says Mediagazer founding editor Megan McCarthy. Indeed, I’ve heard many journalists compare watching the news cycle on Twitter to being in a physical newsroom when breaking news would come in on the wire. 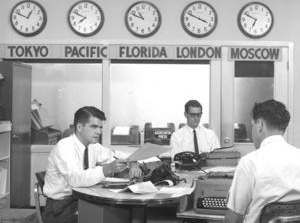 Except now, instead of the modest hustle and bustle of a newsroom filled with tens of people, the “newsroom” experience of incoming and outgoing information has the potential to reach millions, with 200 million pieces of content produced a day. Twitter, in fact was not launching a new Advanced Search today (the feature is actually six years old) and the misinformation was quickly and humorously debunked by another journalist from a different site, on Twitter — the new cross-platform, cross-genre, cross-country, and cross-publication newsroom.